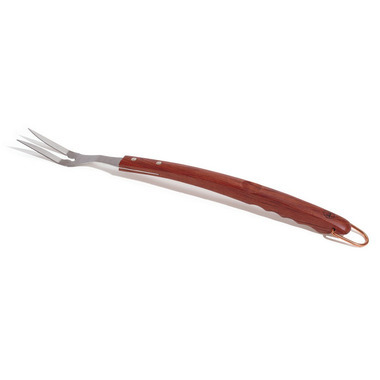 The accustomed griller will be primed to barbecue with this traditional and dependable Rosewood Fork. Apart of an extended family of tools, this essential tool is down to earth and projects attractive aesthetic features. The ergonomic rosewood handle provides optimal comfort and control while the stainless-steel construction harnesses impeccable durability.